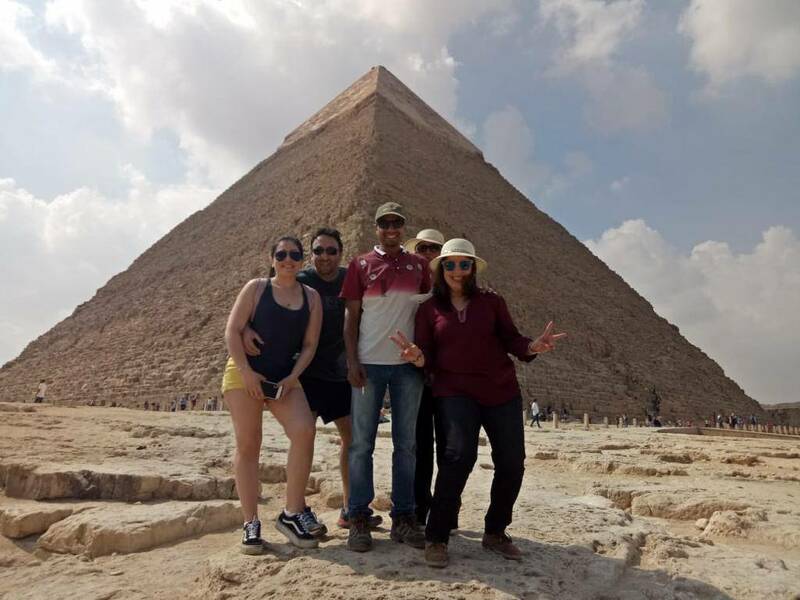 Make the most of your time in Cairo with a fully-customizable layover tour of the city’s historic sites. 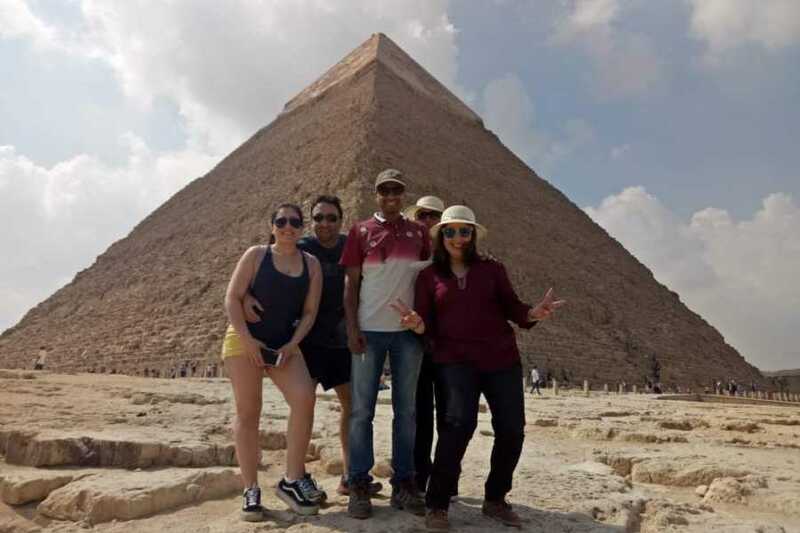 Simply meet your guide at Cairo International Airport, and visit the iconic pyramids at Giza and the nearby Sphinx and Valley Temple. See the mummies and relics at the Egyptian Museum, and take in the gleaming funerary mask of King Tutankhamun. Enjoy lunch at a local restaurant, then walk the medieval walls of the Cairo Citadel and shop for souvenirs at Khan el-Khalili bazaar before returning to the airport. Your guide will await you in Cairo Airport's arrival hall, holding a sign with your name on it. Afterward, move on to central Cairo and visit the Egyptian Museum of Antiquities. Explore 5000 years of Egyptian history and marvel at King Tut's famous jewelry collection. Have lunch at a local restaurant, then visit Cairo Citadel and see the Alabaster Mosque of Mohamed Ali Pasha. Before being transferred back to the airport for your connecting flight, have a little wander around Cairo's biggest market, Khan El Khalili Bazaar.